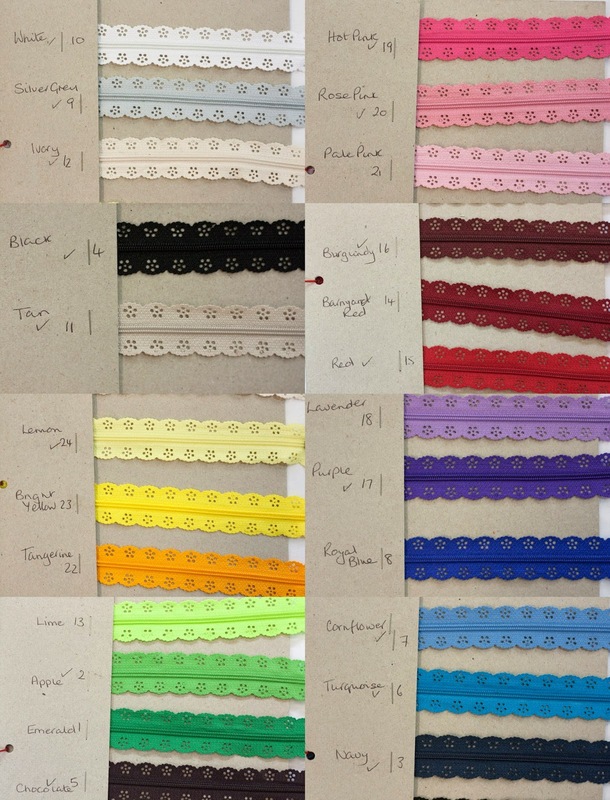 Quilter's vinyl does not make for the best picture but it is very useful stuff- wanting to make a bag with a clear plastic pocket? Or maybe line a bag to make the inside water proof? 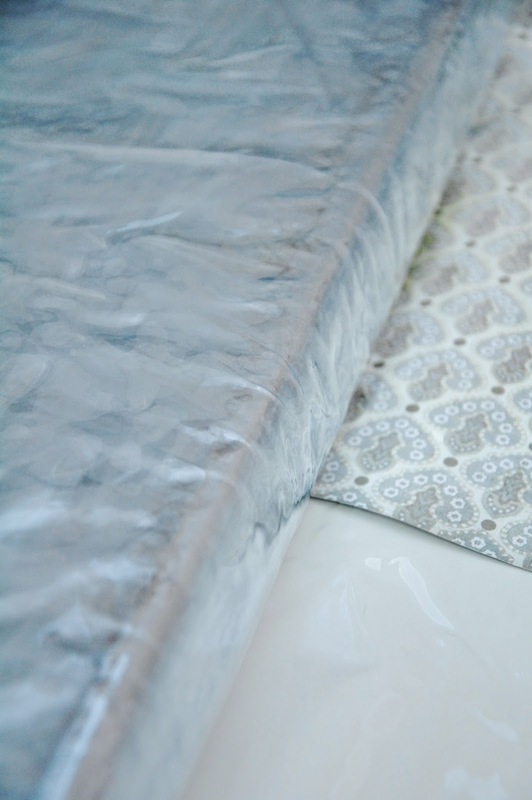 Quilter's vinyl is the stuff you need! I can think of a multitude of uses for this. 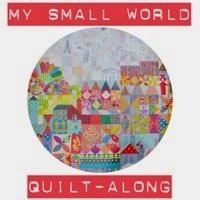 It is 100% cotton, you could use it as I did, as an alternative quilt backing and skip the batting layer. 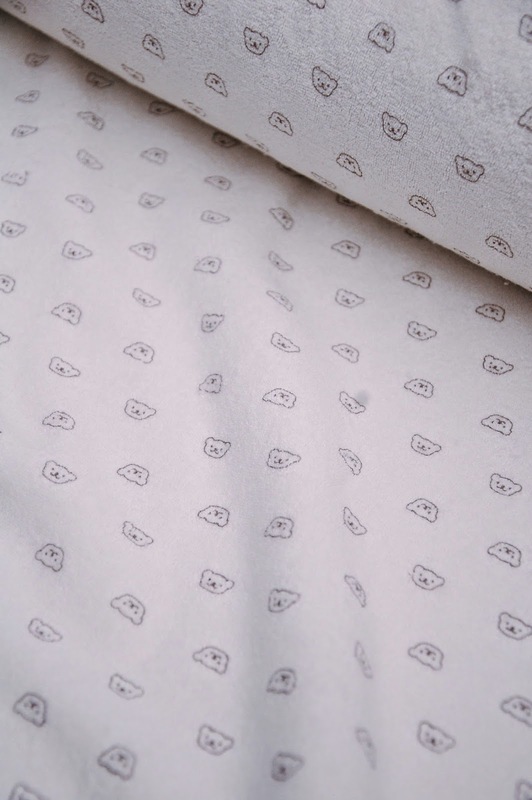 It would also make great face cloths. I use muslim cloths to take off my make up and clean my face- it saves on cotton wool and lots of wastage and my daughter uses little towelling ones, this fabric would be perfect for this. Baby burp cloths or baby/toddler face wipes- good alternative gift for a new baby. 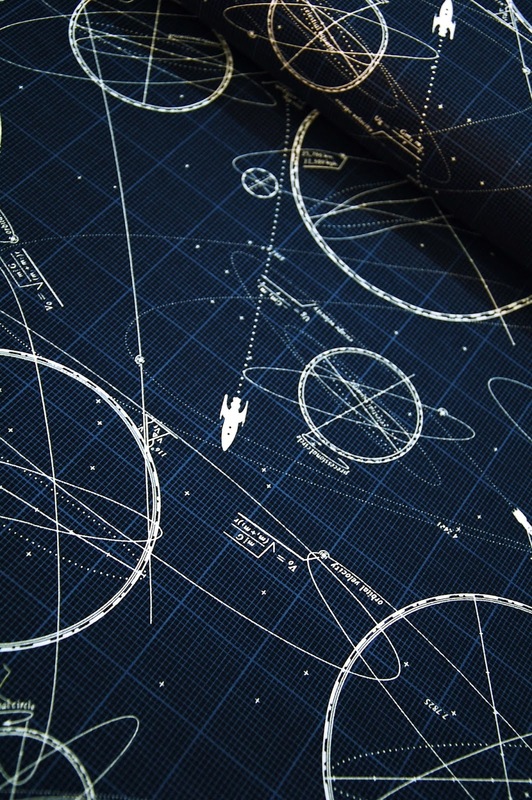 And this rocket blast print is stunning! 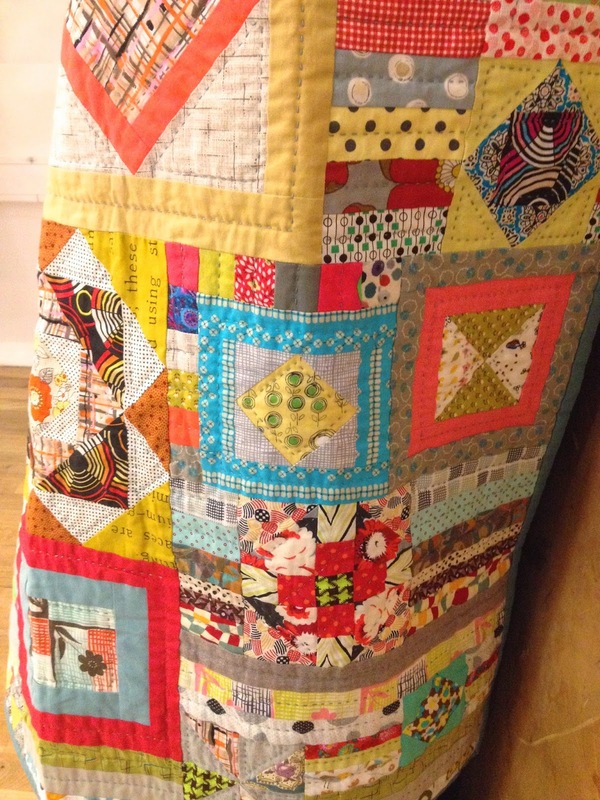 I think this would work well in large pieces- quilt backs/clothing (lovely in shorts?) and also in small pieces as part of a quilt block. There are also blenders/stripes etc as part of the range. 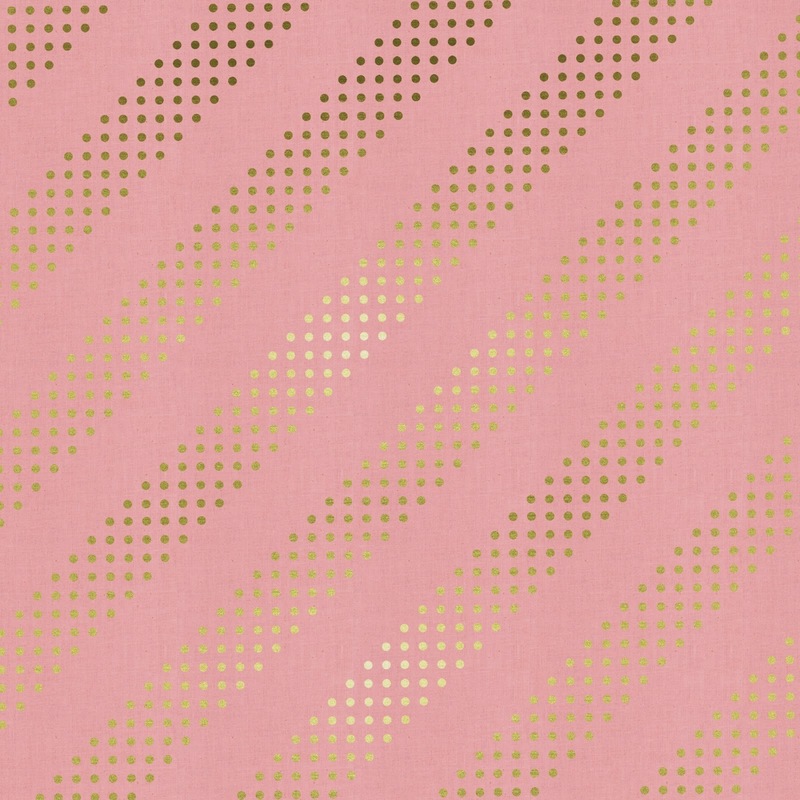 I struggle with many metallic prints but this one- Dottie, Cotton Candy Gold- is beautiful, it positively glows. Amongst the different substrates (quilting cotton, canvas and lawn) I loved this navy lawn print from Alexia Abegg's Hatbox collection. 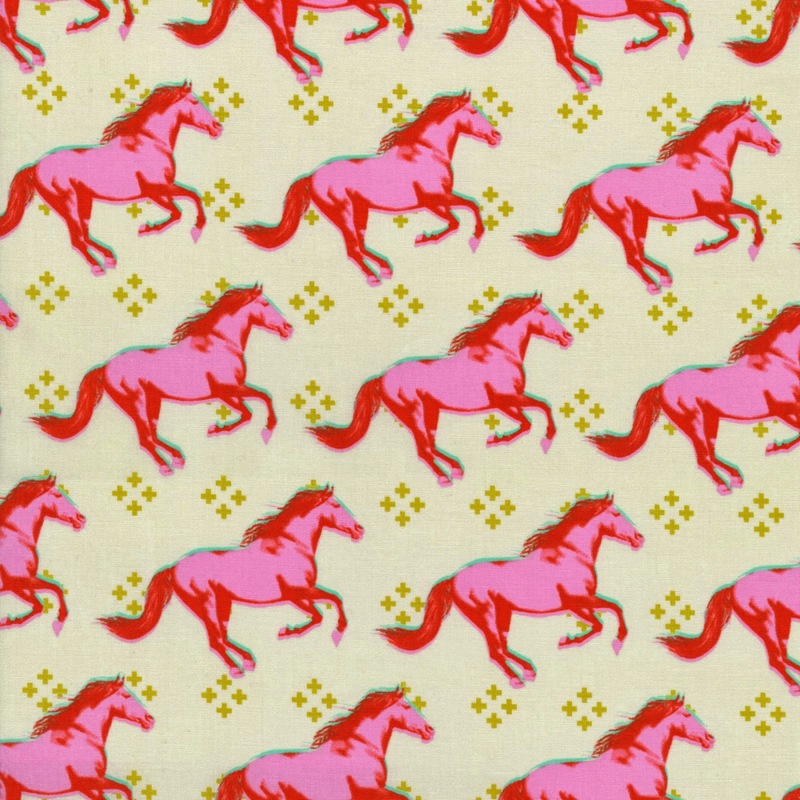 And this Mustang print in pink is positively iconic already. Available in canvas and in a range of colours. 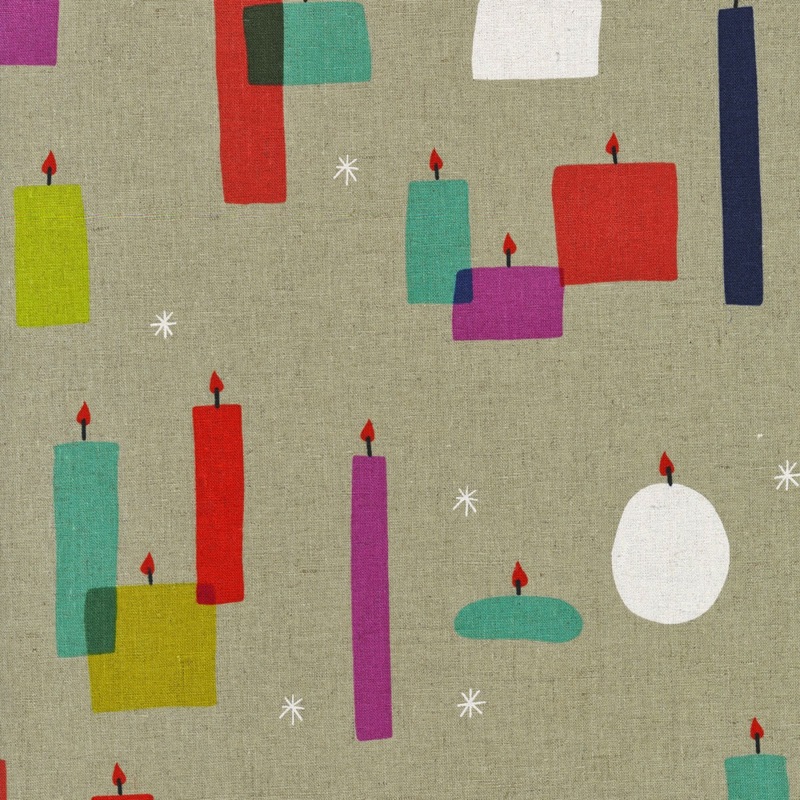 And this print, Light a Candle, is possibly my favourite in the whole Cotton and Steel range. 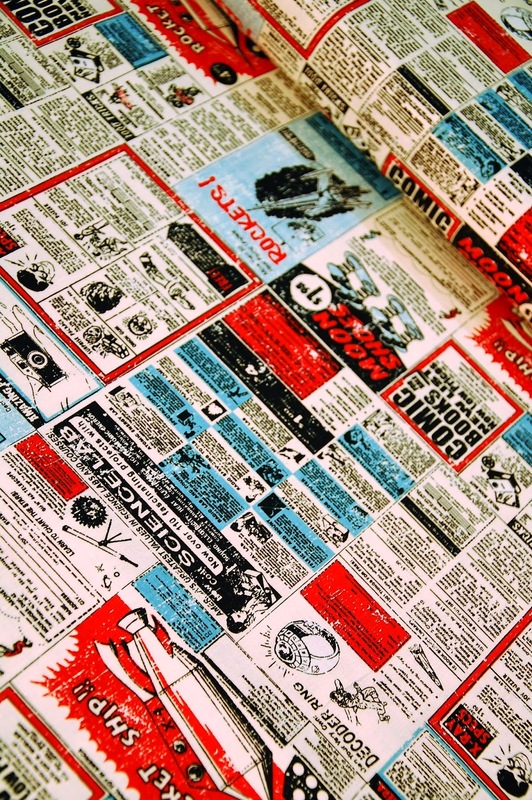 I am not sure what I would use it for but I love the overlapping colours and print. 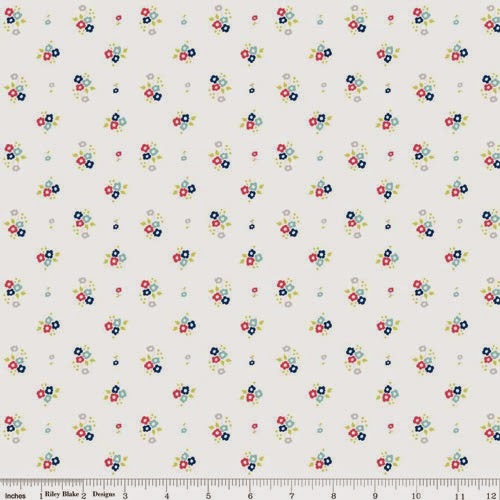 There are so many prints in the Cotton and Steel ranges, find more here. 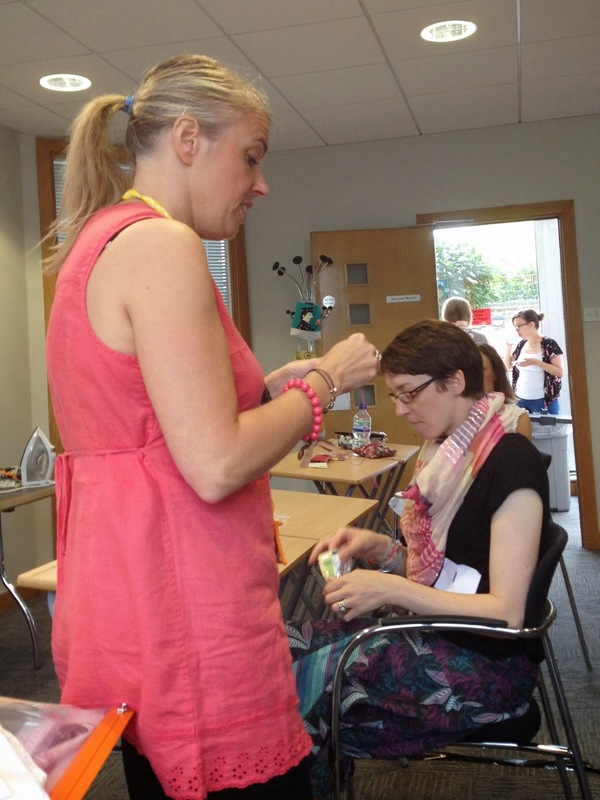 I have a few snaps and snippets from a recent trip to London which included FQ Retreat 14. 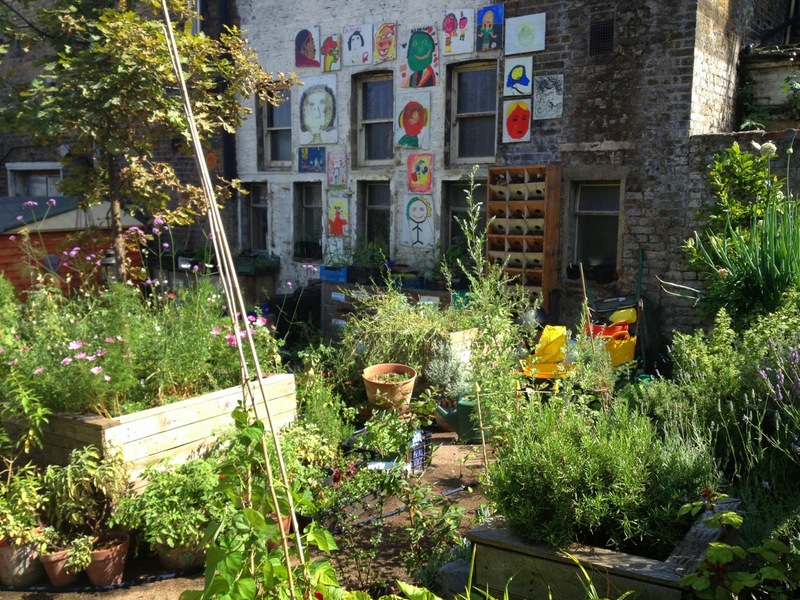 This is Dalston Eastern Curve Garden: a snug community garden tucked away in the heart of a busy shopping area. It really is a beautiful place. You can bring your own food or there is a licensed cafe. Plants, including vegetables and fruit, are grown by volunteers. There are a multitude of nooks and crannies to sit in and under, a sand play area for children, and random cats wander through the paths and bushes. 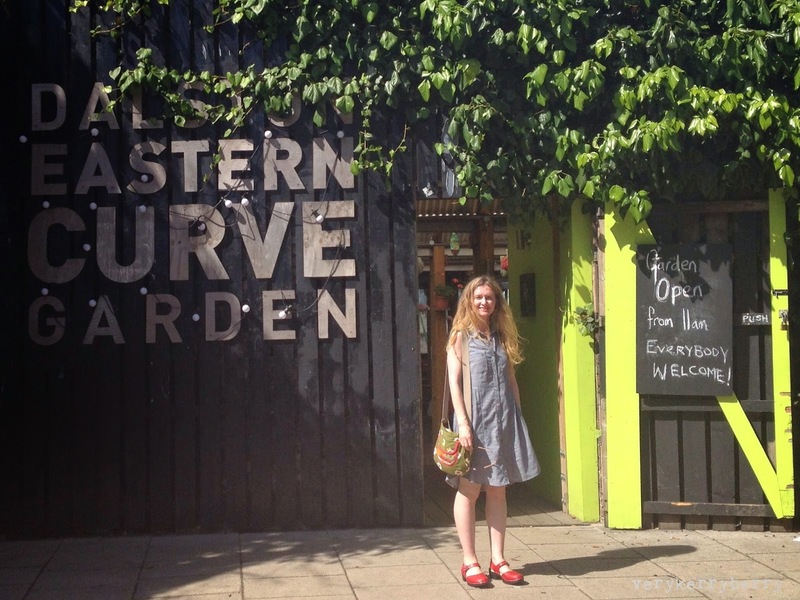 It's existence is under threat, Dalston is constantly expanding and a new 'Urban Quarter' development and a through walk way are being planned. 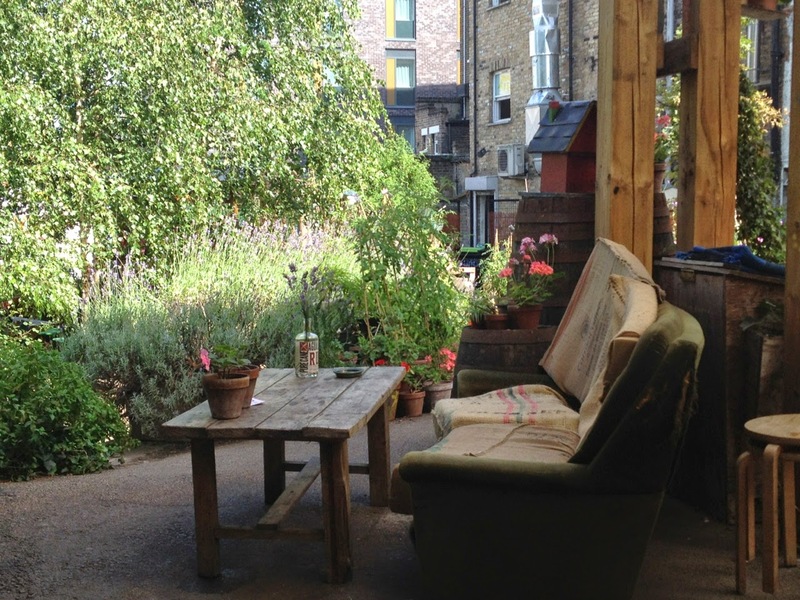 Sadly, it's existence as an enclosed community space is under threat, Dalston is constantly expanding and a new 'Urban Quarter' development and a through walk way are being planned. A Street in Clerkenwell. A hugely creative area, full of design agencies and architects. 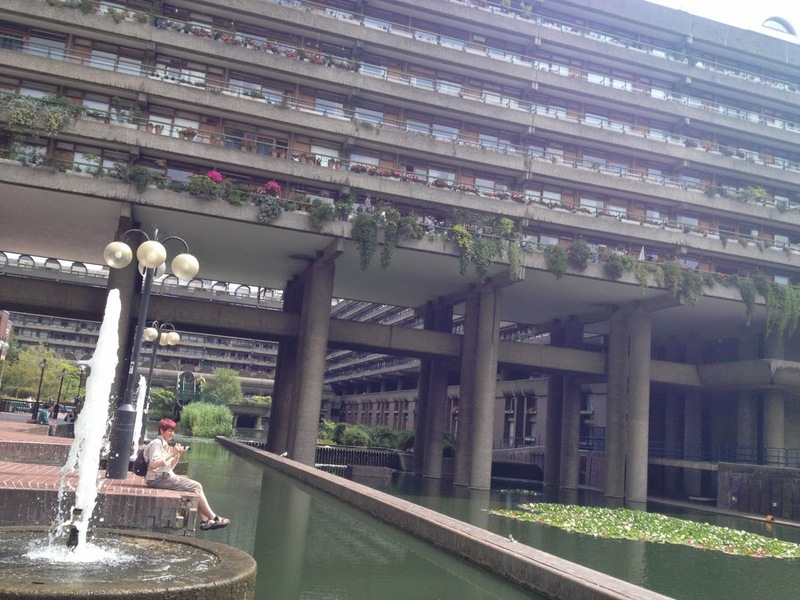 The Barbican estate, a mix of concrete, plants water, school, church, housing, arts centre. Apparently over four thousand people live here. I loved it. Calm and quiet whilst right in the centre of London. 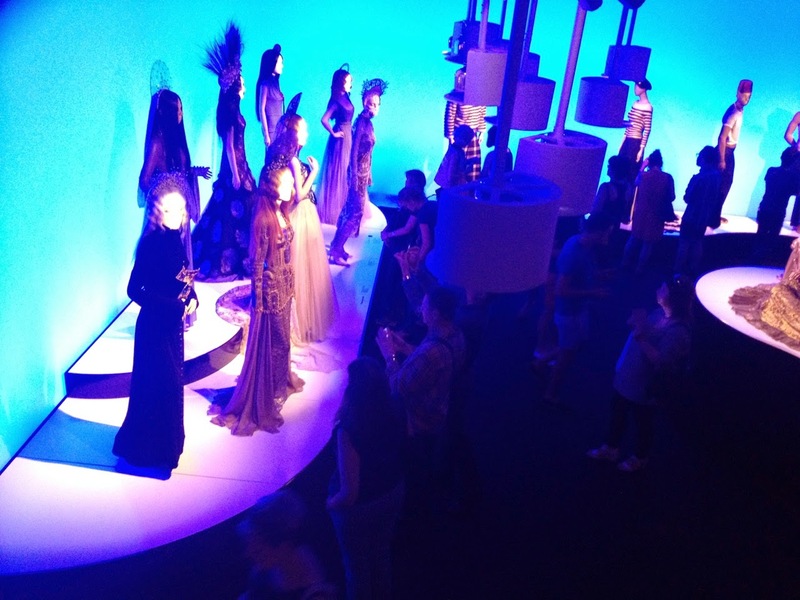 At the Barbican centre, I had come to catch the Jean Paul Gaultier exhibition. 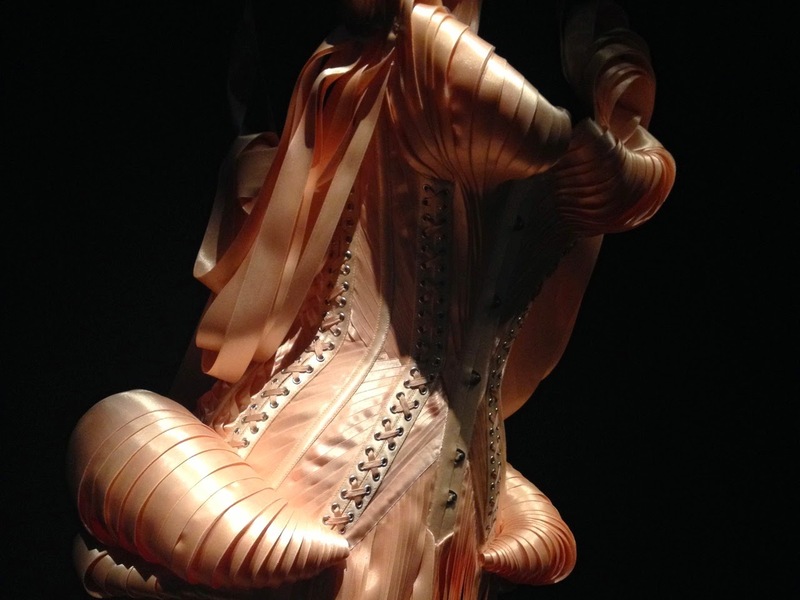 Well presented, strongly influenced by the amazing Hollywood Costume exhibition at the V and A a couple of years back and a testament to one man's amazing imagination and attention to detail. More than anything, it felt that Jean Paul had followed his imagination and never left that behind to conform to someone else's wants and whims. Playful, joyful and exquisitely made. 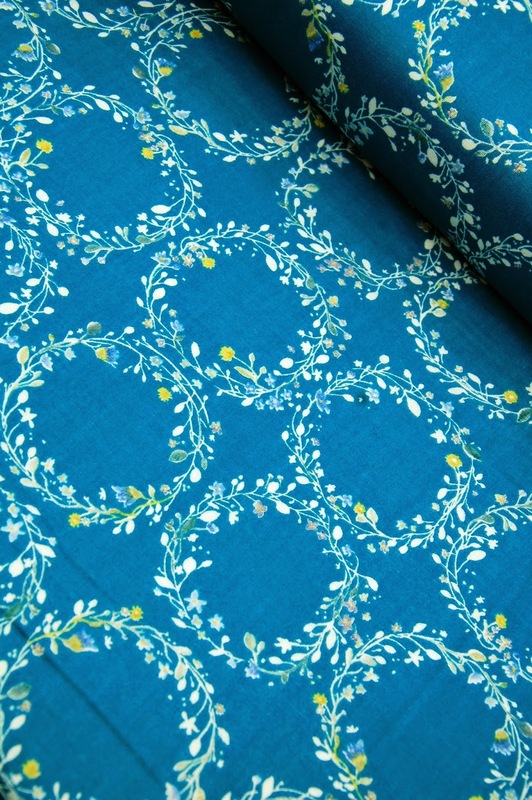 It is hot hot hot in the UK at the moment so I am thinking summery thoughts on this month's visit to Seamstar, with a little hint of what's to come in the next few months- and by that I mean that we are starting with September Blue by Susan Driscoll for Dashwood. 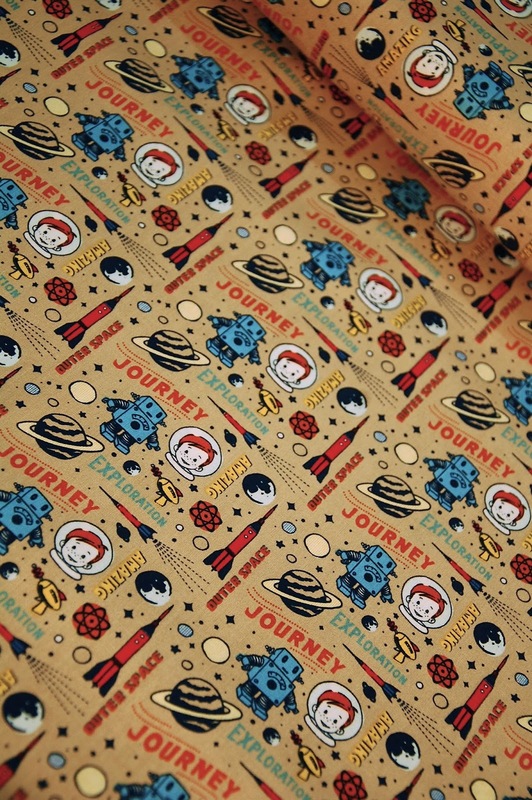 This is the bundle option which includes all 10 prints. And I am also rather keen on this one, 'Gold Bud'; the little pops of colour elevate it from the usual blender. 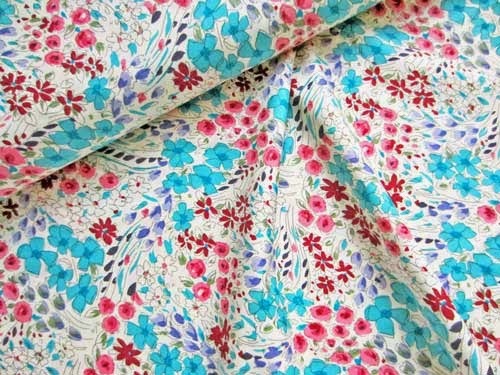 Looking at the summer prints at Seamstar, this one jumped out at me, 'Enchant: Daisies in White'. 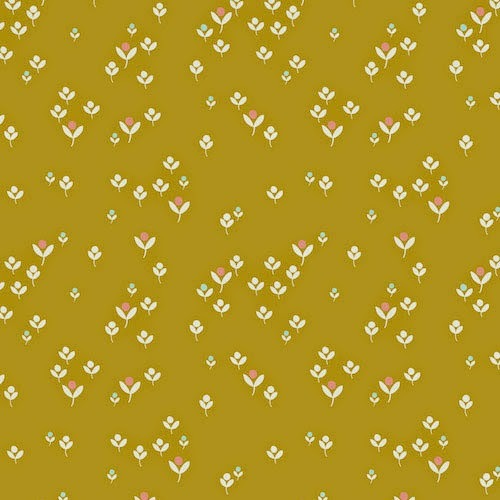 I had totally missed it before and you don't see the pattern properly until you view it at a decent size. 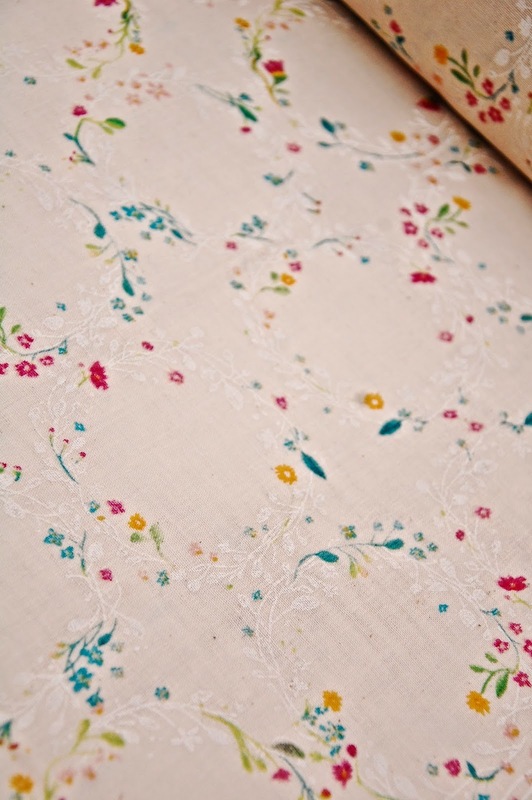 Its a really pretty, quiet, vintage style floral. 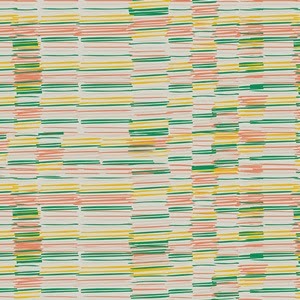 If geometrics are more your thing, I was drawn to the sketchy horizontal lines of Leah Duncan's 'Plentiful Earth'. It reminds me of felt tips- anyone remember DoodleArt posters? I had a peacocks one and was loved it. The felt tips were are rather exotic colours compared to the usual selection. 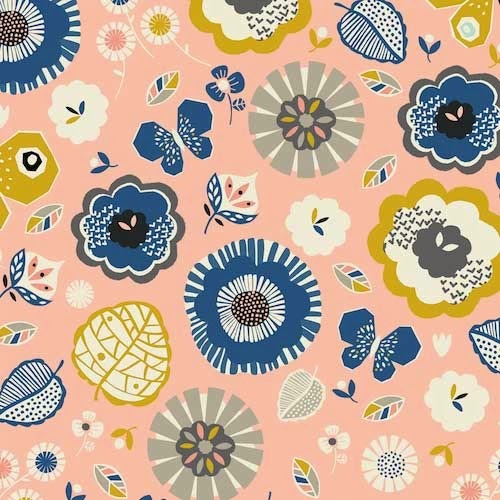 This is another print from the same range by Leah Duncan(for Art Gallery Fabrics). This is called 'Freshly Cut Hyacinth', great for dressmaking as well as quilting. 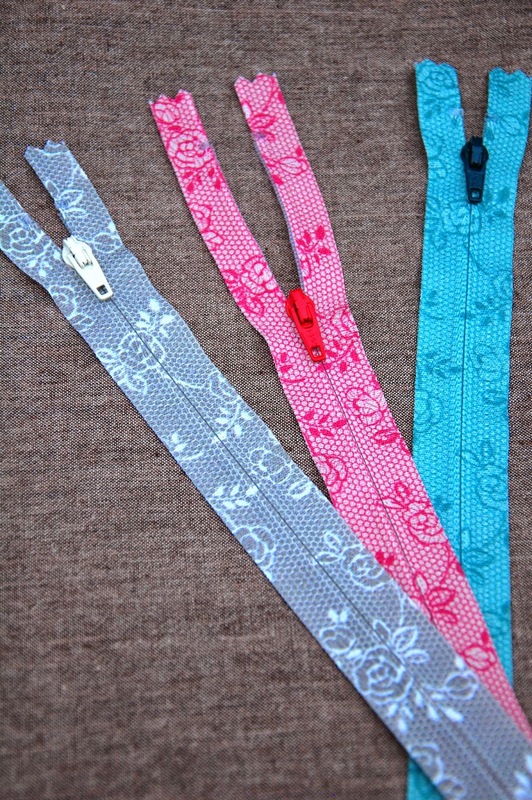 There is the bonus that if you do both, your dressmaking scraps will be used up in quilts! The slightly vertical but flowing lines in this would make it rather flattering for clothing. 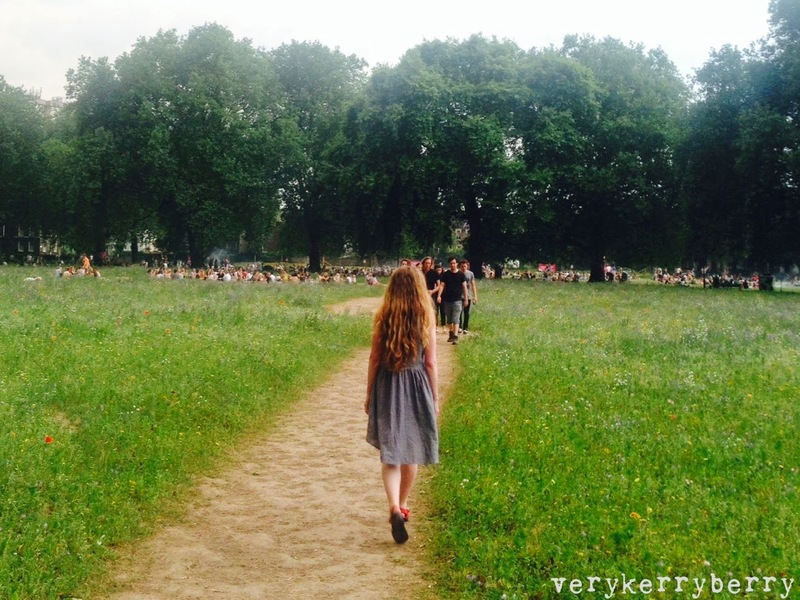 Courtney has written a handy guide to lawn here. 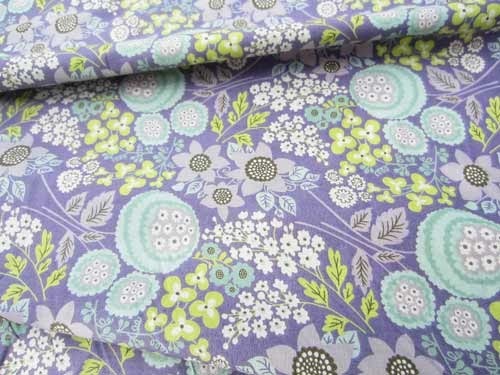 A darker print is this lovely Meadow Purple. 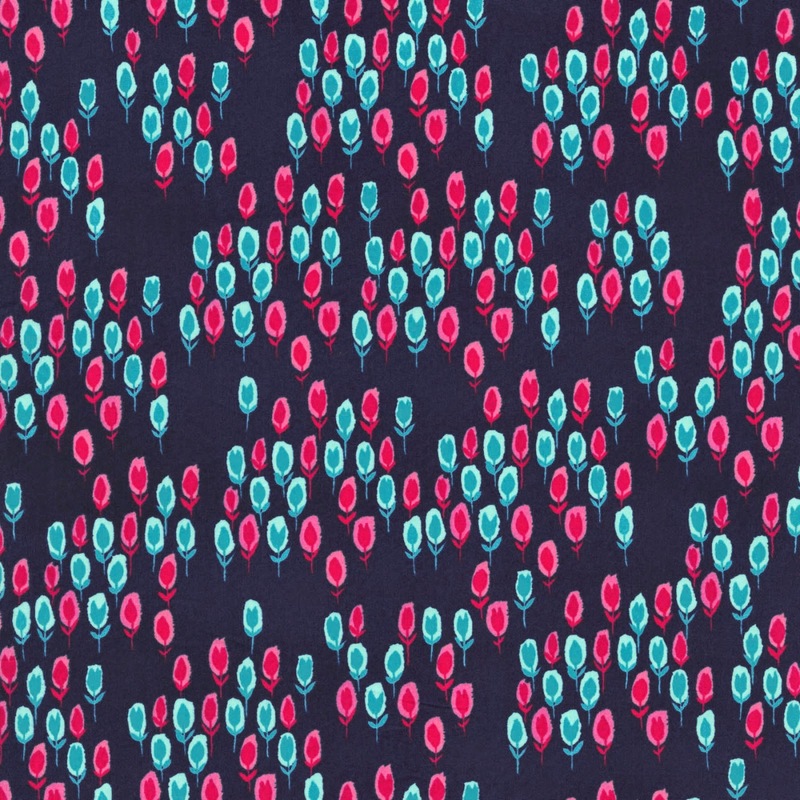 I made a shirt in this print a while ago and I really like the purpley grey colour. If I was making a dress with a full skirt (gathers/pleats) I think this colour would be safe without lining. 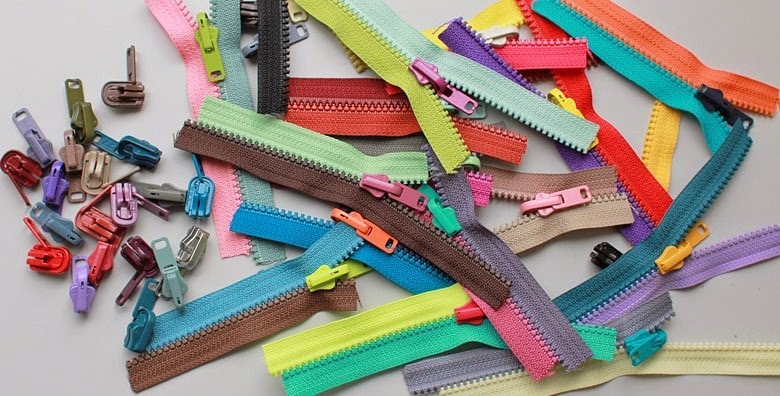 Thinking of other crafts? 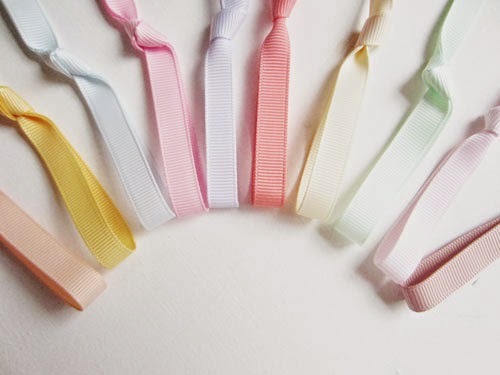 Maybe these summery sorbet coloured ribbons- the selection included 10 x 1 metre cuts of grosgrain ribbon. 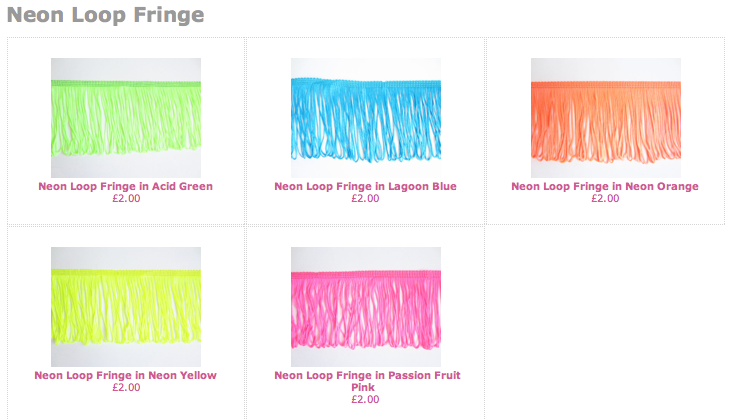 For something a little brighter and out there, anyone for neon loop fringing? I saw some shorts (aimed a teen girl market) with the hem trimmed with these in Miss Selfridge the other day! 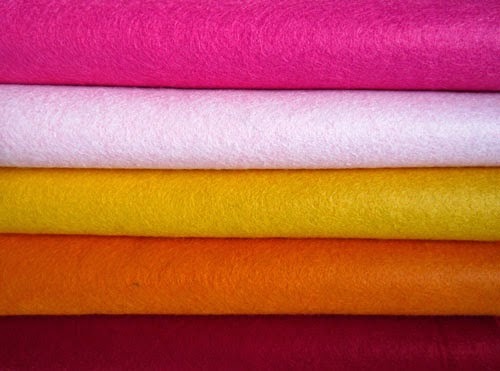 A felt 'Sunset' bundle feels like a good place to end this month's visit. The sun is going down a little right now and the heat has thankfully reduced a little. 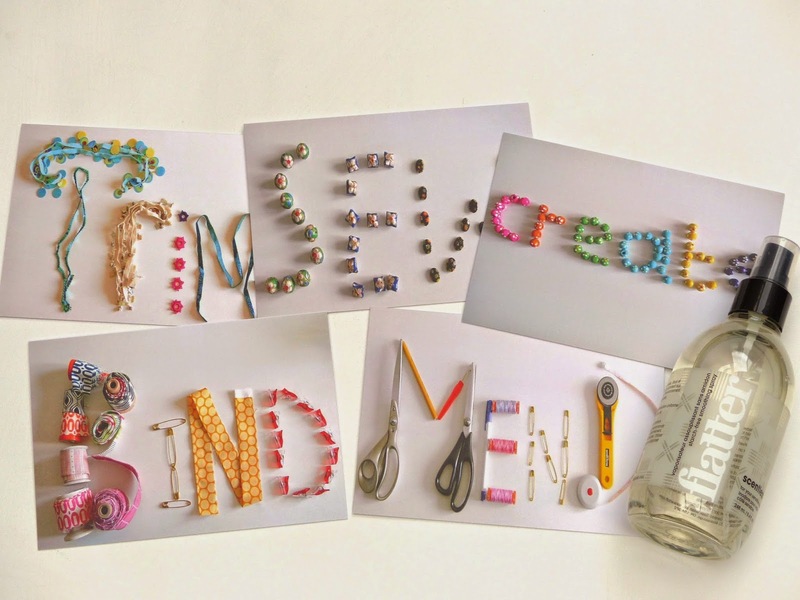 Whatever your summer crafty pursuits, enjoy! It is not very often that I am encourage to make clothing for my daughter- she has no shortage of quilts and pillows but clothing for a teen are a totally different affair. 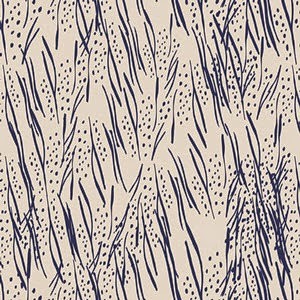 However, when I showed her Sara's Jungle Ave fabric range, she leapt on the dotted knit fabric. 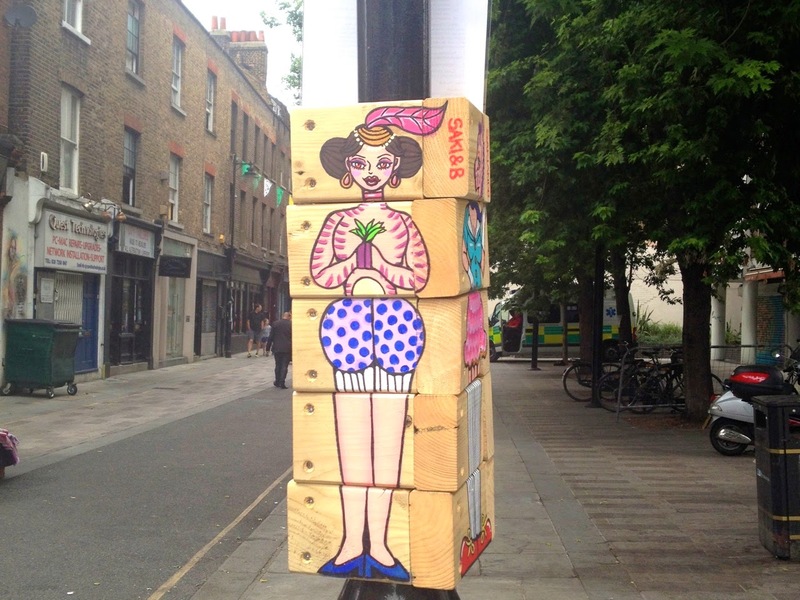 And so, the Lady Skater in Dotted Boulevard came into being. 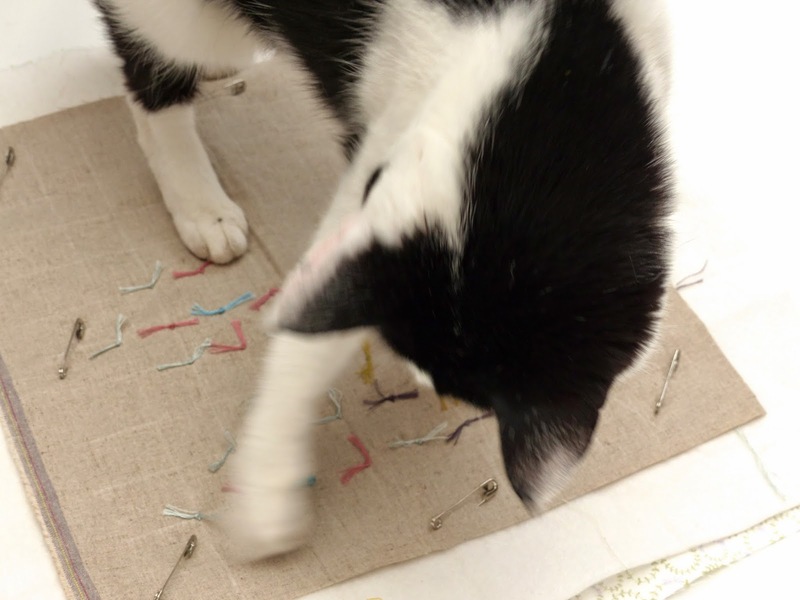 I have known Sara from the online sewing world for a while now- we share a mutual love of garment sewing alongside quilting, making bags and other makes. She is a sweet, generous and hugely hardworking lady and to see her as part of the Art Gallery team with a Limited Edition collection is wonderful! 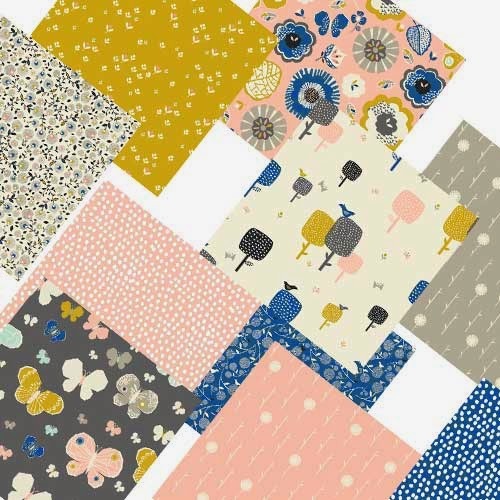 She offered me some of her fabric along with some other quilty/bag making/clothes sewing bloggers to help showcase the range as it becomes available to buy any time now. stuff. 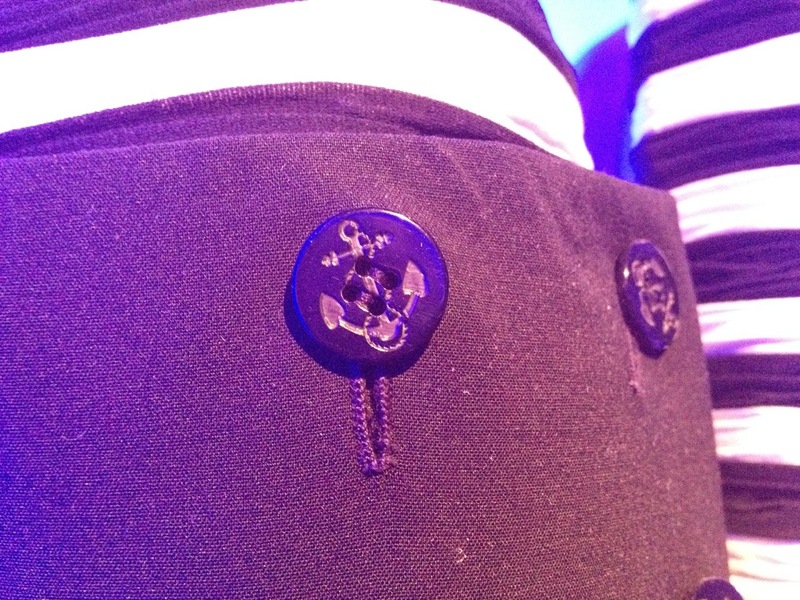 The hem was shortened a little, otherwise, no changes. It was sewn with a mix of lightning stitch on my Janome and also with my Brother 1034d overlocker/serger. The pattern worked well with the fabric. This jersey has 5% spandex so it has good recovery: it springs back into shape and over areas where jersey can bag out, like bottoms, elbows and knees and it will keep its shape making it good for close fitting garments like leggings, camisoles, t shirts- even knickers! 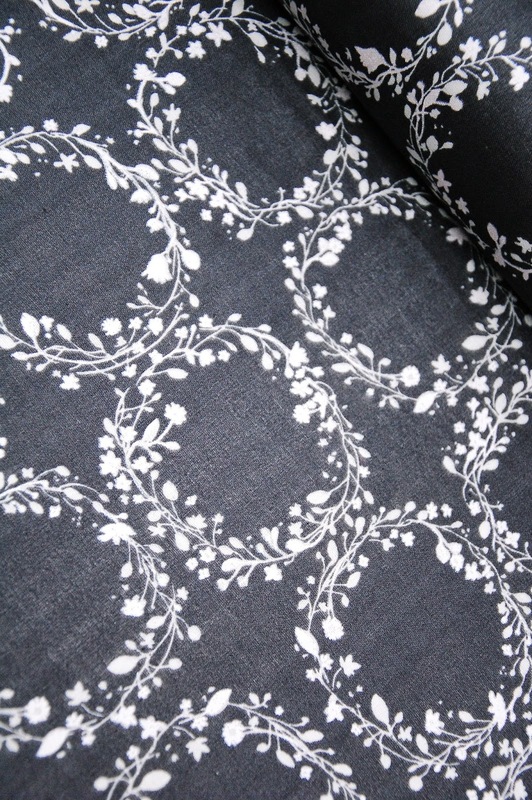 It also has nice drape and would gather easily and without too much bulk. We went as urban as we could in a small city in Devon- a little road signage, faded paint and background textural variety to pay homage to Sara's Chicago inspiration. I think this is my favourite pic! I have to thank Lula for being my model- she is rather shy in front of the camera so we had to have a lot of giggles to get her through! 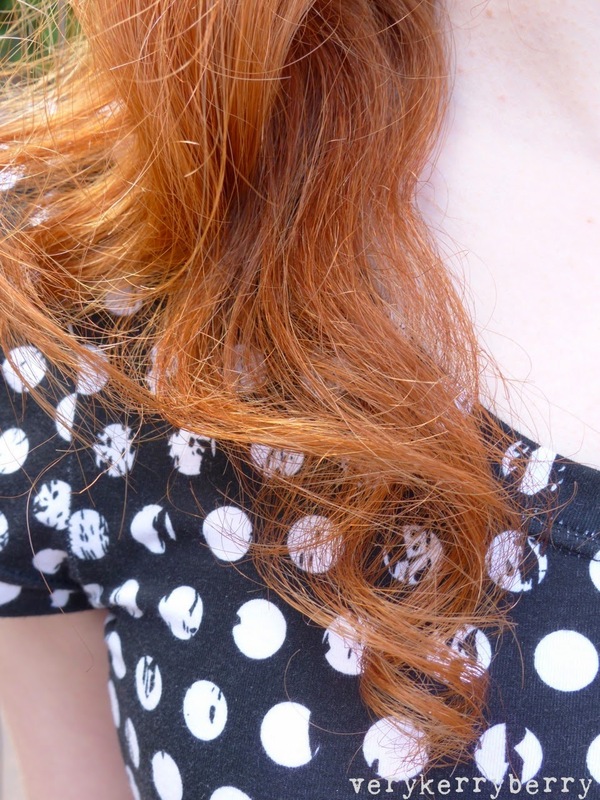 The dress is a hit with her- it's a great fabric/pattern combo for a teen. I came home with this partially completed sample which Mindy took a fancy to. I am liking the idea of making a hot mat with this to place on the kitchen table for hot pans- there's something about those threads sticking up that invites something to be placed upon them. 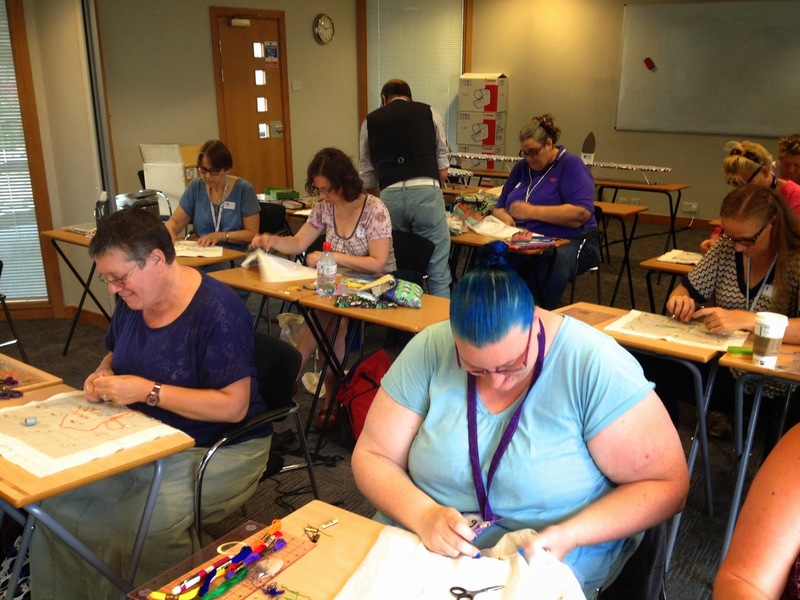 In the same room following a brief break was Jo's embroidery class. 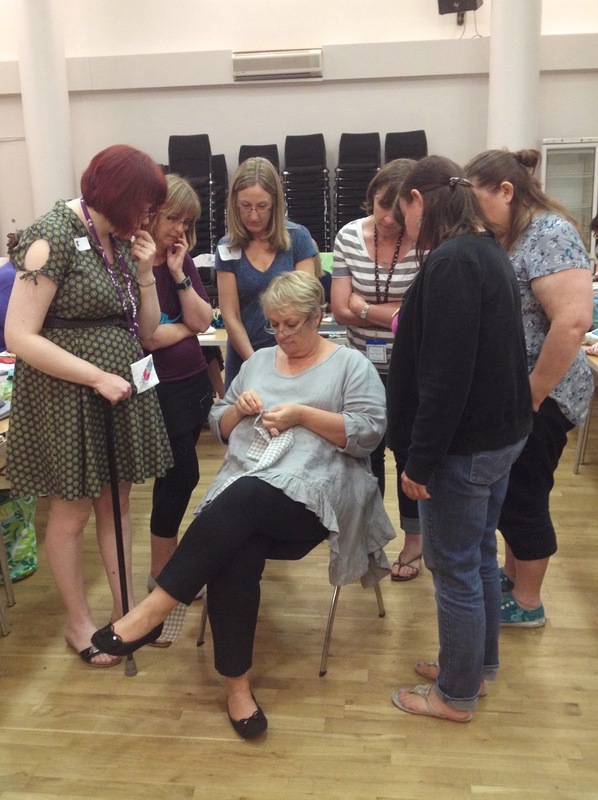 She has a well defined lesson all based around learning six stitches as used on her design. She was patient, clear and very helpful. I've spent time with Jo at each of the three Fat Quarterly retreats and she is a bright shiny creative power house (that's the lovely Sonia paying very close attention below Jo's hand). This was Jo's sample… yes it is very beautiful! 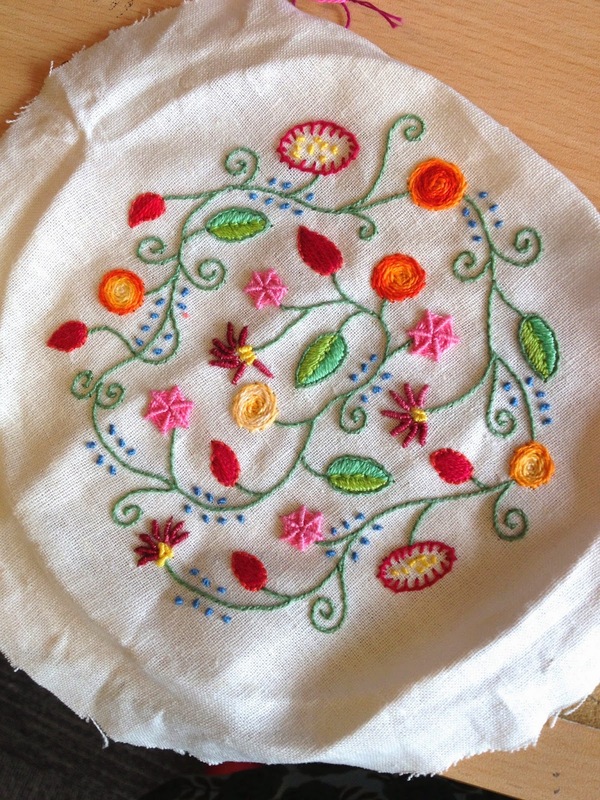 I have embroidered before but I haven't been taught-so I learnt some useful techniques and some new stitches and have continued to work on my hoop. 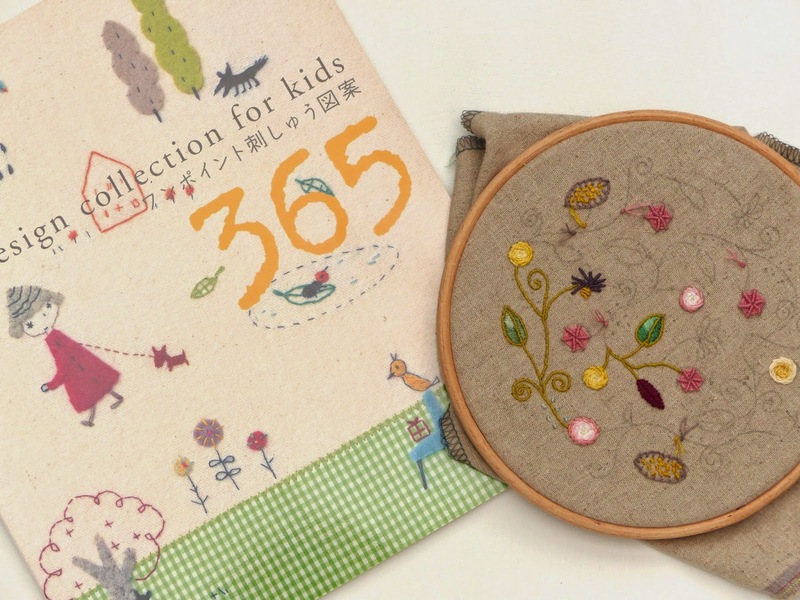 I also bought a very cute Japanese embroidery book from Brioni's destash stall to share with Lula. 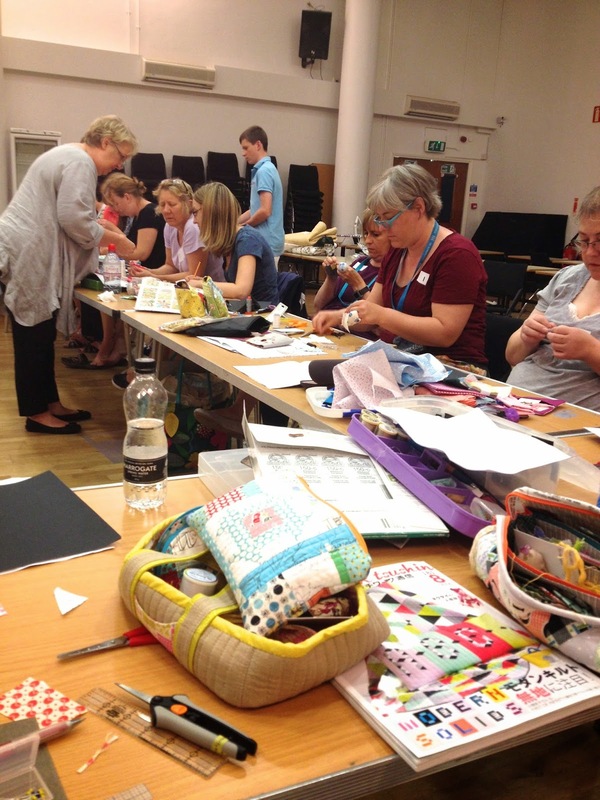 The afternoon was my long class- hand piecing with Jen Kingwell, 3 hours of bliss! She is incredibly inspiring, down to earth, helpful and generous. 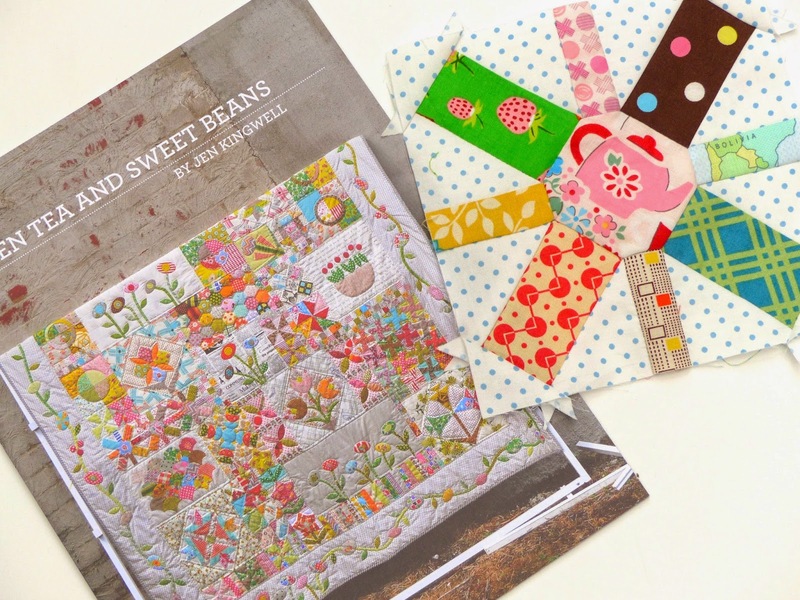 We each received a copy of the Green Tea and Sweet Beans pattern booklet and a handmade Liberty finger pincushion (like this one). From Green Tea and Sweet Beans I chose the Garden Paths block -it wasn't finished in the class, I completed it the next day. Hand piecing is not fast but once you get into the swing of it, it is hugely enjoyable. 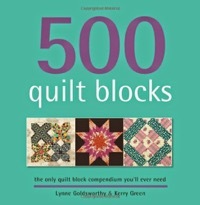 I was sat next to Mandy (always a good person to sit next to, so relaxed and funny and she had her Bring Me Flowers quilt top resting on her lap) and also Amy Smart (she was super lovely too, incredibly sweet and friendly) and there was much discussion of the pleasures of hand piecing- portability especially. I loved the class and once I have finished Bring Me Flowers, this is next. Jen mentioned the joy of having a project that you can prep in sections and pick during dead time- sitting on a train, waiting for appointments etc. This is going to be the one for my dead time and quiet time. 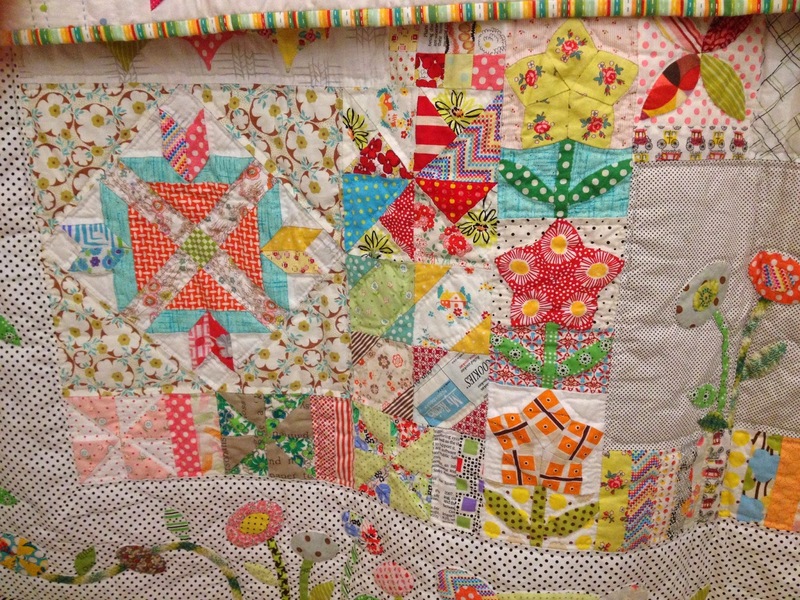 Jen brought along the original Green Tea and Sweet Beans quilt- wow, all of us could not get enough of looking over this and its amazing detail. And there was Gypsy Wife too, which is even better than you would possibly imagine when it is right in front of your eyes- more subtle than I had originally thought, astoundingly beautiful and vivid fabric combinations and seeing the hand quilting detail close-up was a treat. And then there was the goody bag, generously filled by the sponsors. I know it may sound a little tedious to thank sponsors but this time Janome provided 50 machines, no one needed to bring their own. That makes a big difference. The Fractured Quilt class had all the fabric provided by Oakshott Fabrics- again this makes for a great class- beautiful and ample fabric resources available to all. 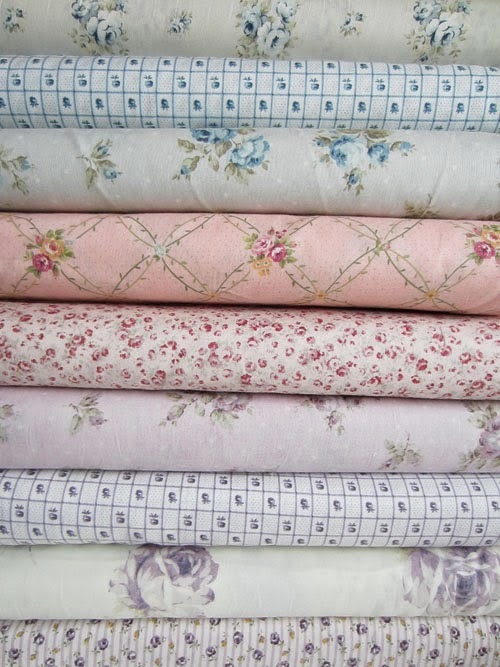 As well as Janome and Oakshott, there were goodies from Riley Blake (yay I got some of Lori's Vintage Happy! 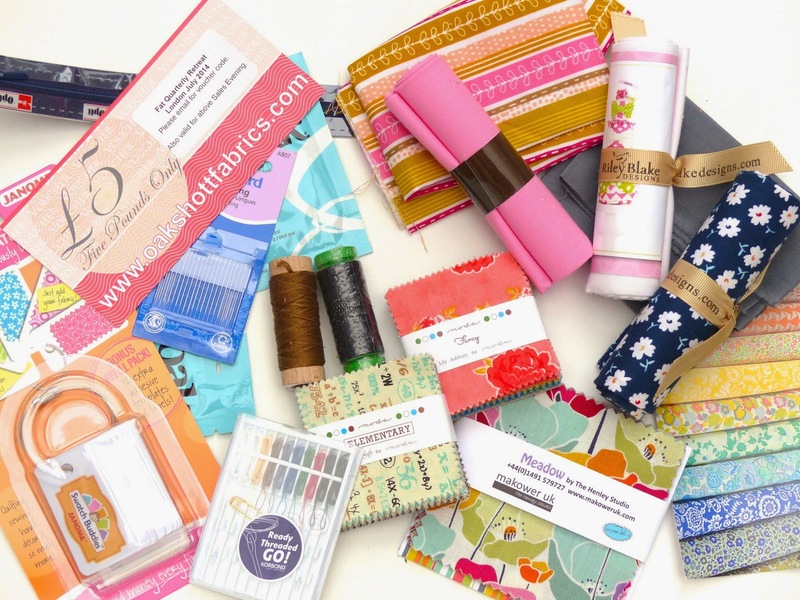 ), Robert Kaufman, Moda, Aurifil, Korbond, Makower and Duck Egg Threads- I may have bought a little Liberty in anticipation of my Green Tea and Sweet Beans dead time quilt of the future. Market was a smaller affair, less hectic and more relaxed. I bought some of Reene's daughter Jess's cards and came away with some Flatter- I have been intrigued by this for ages and a quick test (fabric smoothed instantly with the iron) makes me want to try more to see how it performs. I struggle meeting lots of people but I found it easier this time. I sat with a mix of familiar faces for and new ones, I was so happy to meet Karen and Reene at last- I feel like I've known them online for such long time. It was lovely to chat to Jenny Fox-Proverbs as we have only communicated by email before. Lynne, Tacha and Brioni- well done, it was a triumph! Trash- you were a star, it felt more socially integrated and I think you were a big part of that. Sandy- you were master of social media, and Jack and Jack- you were both uber helpful, good natured and funny. I had lovely chats with people I meet every year, the odd year and for the first time. 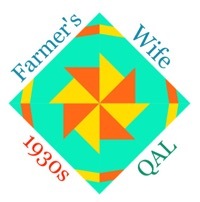 And the Siblings Together quilts were stunning- check out #fqr2014 tag on Instagram to see pics or in the flickr group.